Sleek and stylish, VeriFone's Vx570 Dual Comm IP packs all the features and functions you would want in a single, stand-alone terminal. This terminal uses a standard phone line or an internet connection. For Internet processing, simply connect the terminal up to your router, cable modem or DSL line and complete transactions in mere seconds. 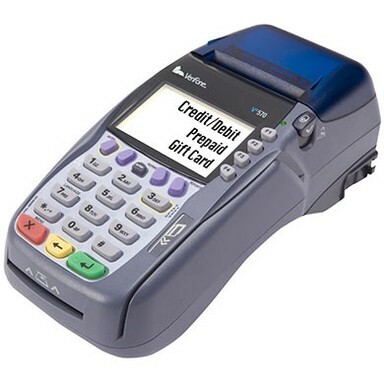 The ATM-style customer interface and integrated thermal drop-in paper printer make this terminal extremely easy to learn and use.